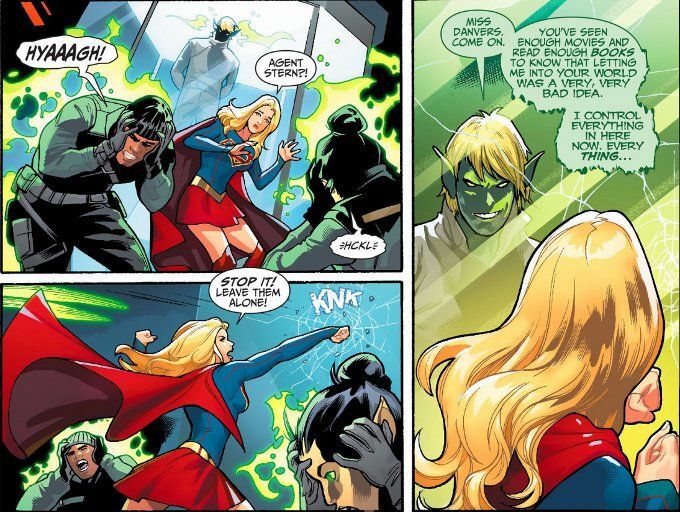 Four times in the past week, Supergirl has had a nightmare - each one worse and more terrifying than the last. Is it just the stress of her recent battle with the technopath Vril Dox? Or is she under a psychic attack by a new enemy? There are few things more aggravating than a story where it turns out the whole thing was a dream. It's a cheap plot device and it's frequently and insultingly obvious to the reader when it happens. Thankfully, Sterling Gates avoids such cheap trickery in this issue and while the direction of the story is immediately obvious, the way it plays out and the way Kara reacts to the events of the plot are delightfully unexpected. The artwork by Emanuela Lupacchino helps to add to the odd, dream-like quality of the issue. 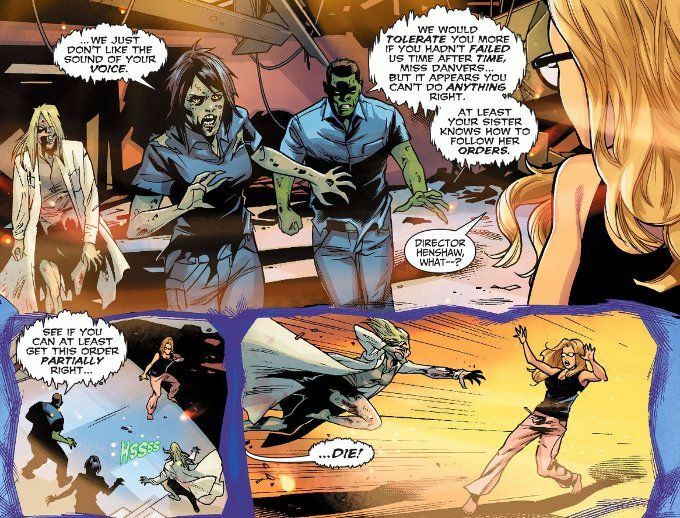 There are subtle hints in the art about things not being quite right even before such oddities as Vril Dox growing a snake's tongue or Kara seeing her loved ones as vengeful zombies. Inker Ray McCarthy shades the original pencils perfectly. And Hi-Fi do their usual stellar job on the color art.